Caryn: Hello everybody! Hey everybody! I’m Caryn Hartglass and you’re listening to It’s All About Food. How are you today? I can’t hear you! How are you today? Oh that’s good! Caryn: Thank you someone out there heard me and I know who it is. We’ll get to you in a moment Alan, just stay still! Don’t go anywhere. So today is a very special day. It’s my 8th anniversary of hosting It’s All About Food. We’re going to celebrate and party today. Alan I hope you brought some good treats for us to talk about. Let me just bring you on, Alan Roettinger! I wanted to have him back as a guest just because. Do I have to have any more reason than that? This is like for me everybody and I wanted to talk to Alan. So, briefly, Alan is a writer, food designer, blogger, public speaker, he served clients as a private chef in US, Europe, and Australia. Raised in Mexico City. He acquired a taste for exotic food early on and soon developed a passion for flavor and beauty that drives his diverse creative culinary style. He’s the author of a number of cookbooks that we’ve talked about right here on It’s All About Food, including Speed Vegan, Extraordinary Vegan and Paleo Vegan. I just miss Alan because we used to talk a bit on another show I did here on Progressive Radio Network that I do no longer which was called Ask a Vegan. I miss you Alan! So lets chat! How are you? Alan: Well I miss you too Caryn! Caryn: Now the funny thing is, we have never met in person. Alan: We came so close when I was in New York a little over a year ago. Caryn: I know! I wasn’t available, you were going somewhere or something but it just didn’t happen. Alan: You were on the West Coast. It’s all right. It’ll happen, it’ll happen. Caryn: It’ll happen. Well maybe it happened already in another lifetime. Alan: Oh, now we’re just trying to get back together and it’s just not working. Alan: I’m married. You’ve got this wonderful husband, boyfriend, whatever he is. Caryn: Yes, Gary De Mattei the other co-founder of Responsible Eating and Living. I call him “Mr. Gourmet”. When we’re the Swingin’ Gourmets. I call him a lot of things actually. Caryn: Yeah, we’re swinging. Woooo! I don’t know when the last time I spoke with you. I think it was when you were doing Paleo Vegan. Alan: Then you haven’t even seen the Almond Milk book. Caryn: Oh the Almond Milk! Of course! The almond milk, I remember that. So we need to talk about milk a little bit. Somewhere along the way, but I know you’ve been involved in some other exciting projects. Lets get up to date. Alan: I try not to get into the boring projects. They have to be exciting otherwise you loose interest. I have a job! Alan: It’s working really well for me. I get paid to do what I love to do which is to come up with new recipes constantly. Caryn: Right! So this is a food service like a delivery service? Alan: Yeah, it’s called Green Chef and you can go to greenchef.com and look at it. They have different types of paleo, schmaleo and then they wanted to add vegan because of course vegan is big. Now it’s even bigger for them. They were interviewing people and my nephew was up late looking for a job because he just go back from the Peace Corps and he texted me and said, “You should totally do this” at like 1 in the morning. I happened to be awake and I looked at it and I thought, this is totally what I could do. I didn’t have any of the standard requirements, like the BA or MA or whatever it is and the work in a restaurant for the last 5 years and all this. But, I just got out my resume and they interviewed me, and I got the job. Boom. Just like that. Caryn: Wow, that’s wonderful. Did they ship all over the United States? Alan: Mostly. There are a few areas I think that I’m not sure if they got it down yet. Far flung from the distribution points. But anywhere on the East Coast because there’s a distribution center in New Jersey somewhere. The people pack the food there. The entire Midwest and most of the West is shipped out of Aurora, which is right near Denver. I’m sitting in my car in Boulder right now, taking a break from my job. I have to drive here from my house, which is about an hour and a half each way. Alan: Yeah. I got a little Subaru Legacy with the manual transmission so it’s like an old sports car. I don’t mind it. Caryn: How many new recipes do you have to come up with every week? Alan: I think the maximum I’ve done is 5. It’s not just like, “Oh create a recipe.” It also has to be doable for the average person. It also has to have only 10 ingredients. They have to be able to do it in half an hour, maybe 35. It has to be the right weight and the right cost for us, so that we don’t loose money on it. There are a lot of requirements actually. But, I’m getting to where I can tell what I’m creating and what’s going to fly and what’s not going to fly. And then it has to pass the testers and it has to pass my peers, all the other chefs. We get around and taste it. There are a lot of points where it has to be tweaked and improved. For example, my palate is geared towards Mexican food and Indian food and all that hot stuff. Alan: And what doesn’t even register to me is black pepper. To some people it’s like, “Oh this is very spicy.” So you have to learn to cook the flavor out without taking out the upper layer of their tongue. Caryn: Well you brought up some interesting points and things that I’ve been experiencing from time to time when asked to create recipes. There seem to be a couple of key things. One is this bee concept where people have to be able to make food in under 30 minutes or under 20 minutes. Alan: Yeah, preferably under 5. Caryn: The 35 minutes- does that include cooking? Or is that just chopping and prepping. Alan: There are a few things. They expect the person to already have olive oil or some “cooking oil” in their house, salt and pepper, you know things like that. That’s pretty much it. Beyond that, then we supply it. When we make a sauce for somebody or a salad dressing and we send it to them in a container so that’s one way around it. Then they don’t have to do all that part of the work. If possible we can dice onion, quarter inch perfect dice. We have an incredible machine where you put in the onions and they come out the perfect little dice. No weeping, nothing, just perfect like I cut it myself. Then sometimes we will dice sweet potatoes so you can toss them in some oil and some spices that we also send and then roast it in the oven until they’re crispy or whatever. So there are short cuts that we help them with. Our testers don’t like to do any cutting. If they don’t complain then we figure we have the average person. Caryn: This is an incredible concept. I know it’s very popular. For me, I have this tremendous negative knee-jerk reaction about it, just because I’m comfortable in the kitchen and I like to cook. But, I’m not like most people. Alan: You are certainly not like most people. Alan: You’re one of a kind. Alan: You’re one of a kind. You’re unique. You’re Caryn Hartglass I mean, c’mon! Caryn: I guess so. I want you to help me understand more about what people like about this service. Alan: Since I started doing this job and driving 3 hours a day as part of my commute, it has made sense that somebody who works a regular job, is not a cook, isn’t trained at all, doesn’t really want to cook; all they want to do is eat some decent healthy, fresh food. By the way, all of our produce is organic. All of our ingredients are organic except for a minor percent of some spices that you can’t get organic. Alan: They know they’re learning. To me, this is extremely encouraging because it means that people are waking up and saying, “I can’t eat out every night and I can’t eat take out every night. I can’t just eat junk. I don’t want to just enjoy the first half of my life, I want to enjoy the whole thing. If I don’t take care of myself, the last third of this is going to be hell, or so expensive because of healthcare.” Which is actually disease care. They are starting to think about well what can I do then? Thinking of Blue Apron and other companies started coming out offering you a chance to cook at home. Then the CEO of this company, fabulous guy, he and another friend said, “Wow we do this and do it organic and focus on veggies. Even though some of these options are meat or fish or whatever. Loaded with vegetables. Make that the focus. Make it what they call veggie-tastic . Something worthy. And make it unique. Instead of just having some kind of – apparently some of these other companies just have sort of like an aggregate way of finding the recipes. What do people like? And they just kind of put it together. We have chefs who are actually chefs and we put it together, we create new things with interesting flavors with different ways of using different vegetables. So, it’s exciting, it’s fun! Of course we try to make it a healthy meal as opposed to just something that tastes good. Again, to help people to cook at home without feeling like they have this job to do when they get home from a long day at work. What am I going to make? I got to get this out I got to get that out! And not knowing how to cook, they don’t get inspired because they haven’t done it, like an art thing with practice. So their juices of creation are not flowing so they would rather just order something out. They’re getting to a point now, which I was saying that I find so encouraging. They don’t want to eat that way anymore. You pay like $80 for 3 meals for 2. You’d be hard pressed to get that in a restaurant. Plus you have to tip them and go there. This way, you’re getting a home cooked meal with fresh vegetables, organic, and directions with pictures. It’s the whole thing. You get a home cooked meal! To me, as somebody who prefers that, I’m willing to give them that they’re not working as hard as I do. That’s fine. I enjoy it. Caryn: Do you think that people are learning how to cook from this experience and maybe some of them will end up doing it on their own after a period of time? Alan: I think so. I wouldn’t say the majority. I have a friend who has been using the service like before I joined the company and she said, “Yeah, you know I actually learned some cooking techniques.” Of course she liked to cook to begin with. But, when you do something over and over again you get good at it. Alan: That’s how we learn any skill. We just keep doing it and pretty soon we’re good at it. So I do think so. It doesn’t mean that people are going to say well I don’t need all that help; I’m just going to start from scratch. A lot of them are not going to. That’s OK! Not everyone is a cook and not everyone is a football player. Caryn: At home here I have a gazillion tins of herbs and spices because I want to have them all whenever I want one in particular or ten in particular. I want to be able to have a pinch of this a pinch of that, whatever. I’ll create recipes and some of them have herbs and spices that the average person does not have. I know you like herbs and spices. Alan: I like to have at least 10 different kinds of chilies. Alan: Two or three of them fresh. Caryn: Do you include special spice mixes in your boxes? Alan: Absolutely! We don’t just make Mexican. We try to create, new different kinds of cuisines from all over the world. Anything from our background that we have cooked before. That kind of thing. We send them just exactly the amount that they need so there’s no waste. So they’re not paying for a jar of something that they may never use again because they just don’t know what to do with it because they’re not us. Right? Alan: So we send them little containers of spice mixtures that go with that meal. They’re pre-measured so the direction will be to just add the stuff. You don’t have to measure or anything you just throw it in. Then they don’t have to worry about what to do with the rest of it. Caryn: Do you assume people have certain appliances? Alan: No. We don’t assume they have a toaster. We assume they have a stove, which has an oven and a broiler. We’re creating recipes for summer. Actually we are almost into fall now. We have to go through this whole process before we can send the product out. In the dead of winter we’re developing things for spring and summer. What was the question? Caryn: The question is do you assume people have any appliances? Alan: No! We assume the junk that people have that they think are kitchen tools- the little Rubbermaid spatula with the little pink handle. Things like that. We don’t assume anything. We give them a list of ingredients and a list of pantry items they made need: salt, pepper, and olive oil. We don’t even consider for the vegetarian and the vegan- we don’t even consider butter. We have to send them a little pat. We don’t assume they have anything. For vegan, we don’t assume they have anything. We don’t assume they have a Vitamix so they can make their own almond milk or their own cashew cream. Anything that needs to be blended, we blend it. We send it to them in a blended form. We don’t assume they have a mixer- anything like that. We assume they have a whisk and if you don’t have one then you better get out there and bargain. We don’t make assumptions. I was shocked. We don’t assume they have a steamer. We don’t assume they know what a steamer is. We go to the lowest common denominator we can because we want people who don’t ever cook, don’t know how to cook- we want them to be able to do this. Alan: We cook with the standard cookware. We don’t get out the copper or anything like that because it’s unfair. It works for me, why shouldn’t it work for them? Well because you have the equipment. Well that’s a good excuse. So we take away the excuse. We cook just on the standard stuff. It’s a concept that I was entirely unfamiliar with, as you know. Caryn: Yeah. Now, I can understand a little better now how meals can be made in 35 minutes or less, because some of it is done already. Alan: Right, right. One thing we do assume is that they’re not 18:25 so we try to make it as easy and painless and frustration free as possible. Caryn: Speaking of that perfect diced onion…when I made recipes and I’m asked to estimate how long it takes, it takes me no time at all, but from time to time I’ve worked with people and nothing against any of them, I really respect when people want to try something new and learn how to do something, but an onion that might take under a minute for me to chop can take 15 minutes for someone who is painstakingly going at an incredibly slow pace just because they’re new at it. So that time frame is very variable depending on who it is. Alan: I think it will vary and I think people know that going in. Most people will assume, well the reason this is taking me so long is because I’ve never done this before. But the good news is that again, if you practice an art you’ll get good at it. You can order just one box or you can subscribe and you get a box every week and what are we having this week? It arrives on Thursday and you have Friday, Saturday, Sunday taken care of- or whatever. After a while you do get good at it. Even with a dull knife! You will get good at it. If you have a dull knife and you’re thinking why won’t it cut? Well maybe it’s not sharp. You may go out and get it sharpened. And then…WOW! Look at it now! You know me, I’ve been trying to encourage people to cook and eat at home. This is something that I can do for a living and help them do that. They’re not going to be me. Because only I am me. They’re not going to be a professional cook, but they can cook and eat at home and that’s all I wanted. I know that the more you cook and eat at home, the less you’re eating processed junk and the lower my cost of healthcare will eventually be. Because fewer people will be getting sick. Caryn: We’ll talk about healthcare in a moment. I want to get to it a little later but not quite yet. Alan: OK, it’s your show. Caryn: OK good. One more thing about this delivery thing. People’s eating styles are becoming more and more specific. Many people eat a diet that is free of so many things: oil free, salt free, sugar free, soy free, nut free, gluten free, what other free? Dairy free. Even when we talk vegan. It’s got to be free of so many different things. Caryn: Yeah. When you’re creating a recipe, I imagine you want to appeal to the least common denominator, so what are you making? Alan: I do try to appeal to the widest audience, but at the same time people who are going to say, go on an oil free diet, they’re going to have to study it, you know what I mean? They’re going to have to go to McDougall’s workshops or something to learn that new way of cooking because it’s just not normal. It’s not what everybody does. They’re taking it upon themselves to say, “Well if I was going to do it this way, I have to do it this way instead because I have to compensate for the fact that I’m not sautéing, I’m actually just boiling stuff in a pan.” Or whatever their method is. They’re going to do that and again, the oil is in their control. That’s not a pantry item for them then we don’t have to worry about it. They’re taking it upon themselves to change their lifestyle. They will have learned what is necessary for them to know in order to pursue that lifestyle. You cannot do it in a restaurant, you cannot do it in a fast food joint, you cannot do it with processed food, you’re going to have to make it yourself. So they’re already doing that. If they become interested in our service they’re going to have to budget a little bit. They’ll still get pre-cut or prepared or pre-measured stuff, which is all organic and all good so at least on, that level they’re good. They’re just going to have to try it their way because they’re not normal. I mean, I don’t mean they’re abnormal people, but they’re not the norm. By the way, normal is overrated right? It’s normal to yell at your spouse. Caryn: Yeah, it depends on who you are, lets not go there. Or we have gone there. I mean, what’s normal for the man who is playing President at the moment is not normal for most people. Alan: That man is one of a kind, thank God! But we won’t get into that. We can just gloss right over this. What were you saying? Caryn: What was I saying? Alan: Don’t get me started on the cheeto. Caryn: Well, maybe I should get you started. Here’s your moment. Caryn: You cooked for him? Caryn: What did you make? Alan: I made duck. He said that was magnificent. That was before my time. I cooked for President Clinton, I cooked for Hilary Clinton, separately, different times. Politicians are a totally different breed. You make enough promises, you many enough deals, you make enough compromises, there’s something where you look in their eyes and they are not like the average person. They’re not there. They’re lost somewhere. Until photo op time comes and then they just pour on the charm and it’s like, “Oh that’s the one on TV, I remember him.” So I don’t really have a very high expectation of them. All I expect is that they be outwardly decent. I know they’re probably not decent people and you can’t really be, I mean, the higher up you go, the more compromises you make. We really don’t know who they really are. All I ask is they be a decent appearing person and speak to our better side. The way Barack Obama did. I mean, he did a lot of things I disagreed with. The friendliness with Monsanto. All I ask if they be a true statesman, that’s all I ask. What we have right now is not that. It’s not normal. It’s not what we need. We don’t need someone like that. We need someone to steady us. We need someone to say, “It’s going to be Okay, don’t worry. We’re going to work through this, we’ll do this together.” Whatever it takes. Just be decent. Just be a decent human being, that’s all I ask. I know that there’s going to be all kinds of nasty deals made in the back and compromises with corporations and bad people in other governments. But at least don’t be a jerk. Don’t be a bad example of a human being. That’s all I ask. Caryn: I like that Alan, I haven’t heard that from anywhere before and I think you summed it all up very well. Alan: Yeah, that’s all I ask. Caryn: We don’t need much! Alan: I don’t have high expectations because this is the way the world works, for now. We are evolving as a species, we are getting better. It doesn’t look like it but believe me, we are. Not all of us are going to make it, most people are just going to stay that way and unfortunately die off so that the young ones who are more idealistic and loving and caring- they’re going to take over. Every step, we are getting better. If we just can survive. Caryn: Yeah, if we can survive. Alan: My son and his friends….I have such hope because they’re like how I was only they are arriving at a stage much further along then where I arrived. My generation, we were the first ones who said, “Hell no we won’t go! This is not a just war and we’re not going to go over there and kill those people.” No one ever questioned it before; if they did they went straight to jail or got beaten over the head with a stick. It is evolving, we are getting better. Caryn Hartglass: As a civilization, at least here in the United States and other countries, more people feel empowered to speak their mind. Alan Roettinger: Right! I’ve never been to a Women’s March before. Alan Roettinger: It’s one of the most exciting, wonderful things I’ve ever done! Which is so exciting, so beautiful! There was no violence, it was so organized. Everybody had a unique sign; everybody was friendly to each other. But it was a protest, it was definitely a protest. And I loved it. Caryn Hartglass: I think some of the problem—I mean, other than—what do you call them? The Cheeto or what was your name for the MI—I won’t say his name. Alan Roettinger: I have other things. But, yeah, the so-called president, we call him. Caryn Hartglass: Yes, the so-called president. There are a lot of problems with him, but some of the problems are related to this evolution where things we might have accepted ten years ago, twenty years ago, thirty years ago—we don’t accept today. Caryn Hartglass: Many presidents have fooled around. How can’t we know that? And they’ve harassed women in many different ways. We know that, we just don’t accept it anymore. Caryn Hartglass: We’ve raised the bar, and we’re rebelling because we don’t want to go backwards—at least those of us who have evolved a little bit. Caryn Hartglass: Well, some people do. Alan Roettinger: Well, you can, but that’s what I mean. It’s not about one human evolving; it’s about the entire species evolving. And there are parts still holding it back by their limited beliefs and their vengeful thoughts because of the injuries they’ve sustained as a child and as a culture. Like the Middle East: it’s going to take a long time for them to the point where they can really just let go. But the young people in Israel? Young people in some of these places? They are the hope of that place because they don’t want it to be that way. They don’t understand why it should be that way. And so it’s just like a snowball effect. Eventually what would seem normal just is not normal anymore. It’s not normal for me. My father—my father evolved before my eyes. He was a Marine Corps colonel and then he was a CIA officer. He overthrew the government of Guatemala, and he was a statesman here in Mexico City. And he was homophobic and everything else. Really fun guy but he had those (chuckles) serious drawbacks. Alan Roettinger: And he evolved while I was alive to be anti-war, anti-CIA. He risked his life to speak out against the CIA’s nastiness, and he came to embrace people who were homosexual, people of different viewpoints. And it was fantastic because he completely, completely changed. He shed those limitations that he had which he thought of as strengths. Came to know them as weakness and came out. It was incredible. And so, if my father could make that transition in one lifetime, what of someone’s child? Of course, I went that way for another (laughs)—’cause that’s what I do. Caryn Hartglass: Yeah. No, I understand what you’re saying. Alan Roettinger: But this is the story of the human race. Caryn Hartglass: Our parents often learn from their children. It goes both ways. Alan Roettinger: Right, but some parents don’t. Caryn Hartglass: And some parents don’t. Alan Roettinger: Some parents it’s, “It’s my way or the highway,” or “If you don’t like it, my house, my rules.” That whole thing. Alan Roettinger: —when you hear a person sing. When you hear somebody singing—I would never buy Adele’s albums, I just don’t care. But when I hear her sing, it’s like, “Good God! That is beautiful!” And that’s past the potential of a human being. Just sing from the heart, where there’s no filter. Where it’s just coming. That’s our potential. To do art, to protect the defenseless. To have compassion, to be kind. This is not something that animals just invent. I don’t know if you ever saw this, but it was on the Internet on YouTube. In India, there was a monkey that got injured. Alan Roettinger: And there was a train coming—I can’t remember what it was, but it was in traffic. And this other monkey jumped off and went and rescued this monkey that was injured, and dragged them to safety. Caryn Hartglass: I didn’t see it. Alan Roettinger: I sure as hell can do that. Caryn Hartglass: Maybe not. Maybe, maybe not. Alan Roettinger: No, no, no. I can. Caryn Hartglass: Alan, I’m impressed. You’re extremely articulate and eloquent with your words. Thank you. Alan Roettinger: Well, thank you! Thank you. Alan Roettinger: I have to add one thing, I have to add one thing. Alan Roettinger: We have limited time. We don’t have forever. When I hit sixty, it was like I used the “s word.” I was like, “Oh my God! It really is true! It’s very short.” I’m two-thirds done by most standards. Alan Roettinger: —be that perfect example of what a human being can be, you’d better do it now. Or you better get started at least because it may take you some time. (chuckles) Do it now, do it now. Enjoy your life, and fulfill the enjoyment in life. Try to remove the things that inhibit enjoyment. Try and not put more obstacles in the paths of other people and your own. Alan Roettinger: Yeah! Yeah. So is cooking! Caryn Hartglass: Yeah, but I think this is even more challenging. But maybe not. I think for many people it’s extremely difficult to take the time to look inward and actually ask those questions. What is it that I want to do? What is it that I want? Who do I want to be? What are the obstacles that are currently in my way and how can I change them? Those are scary, difficult questions. Alan Roettinger: They are, but the answers are actually quite simple. The only real obstacle is between your ears. Alan Roettinger: —and you take a moment to stop, just take a deep breath and think, “Is this a good thing to do?” You know! The objective of all life is to feel joy, is to feel ecstasy. To be just thrilled with life. That’s what we’re here for. Caryn Hartglass: That’s what we’re here for! Alan Roettinger: If that’s your scale, then, okay, you might want to drink this whole bottle of gin. Alan Roettinger: And then I will black out. I won’t even remember the second half of the bottle. And I may do things that I’m embarrassed to hear about and they hurt somebody. Physically or just emotionally. I will feel like living hell in the morning. And if I do this often enough, I will be very sick and then probably I’ll have to get a liver transfer. It’s not that hard. It’s not that hard. You just have to be dedicated to finding the real joy. Caryn Hartglass: It seems like it’s not that hard. I’m totally there with you. I’m just continually asking myself the question, “Why is it so hard for so many people to make change?” Just becoming vegan. Alan Roettinger: Conditioning. It’s conditioning. Alan Roettinger: It’s the voice in your head, and that voice in your head is the same one telling you to drink a bottle of gin! Alan Roettinger: You know why? Because the brain has no feeling. The mind has no consequence. And you think, “Well, yeah, but what about depression?” It loves that stuff. Alan Roettinger: Because then you become all-important. And as long as you can make you all-important, it’s just everything—it’s having the time of its life, and it’d tell you what a jerk you were to drink that bottle of gin. And you should just go ahead to kill yourself because you’re never going to be any good at anything! You’re just a looter! That thing, it loves drama. Alan Roettinger: But you, the real you? We love peace. We love to feel good. We love to feel love. We love to be feeling inspired. We love to look out our window and see something and go, “Wow, that looks so beautiful.” We are the appreciators. That’s what we’re here for. We are—if there is anything like a god or anything like that, the reason we have been created was to have at least one person appreciate (chuckles) the beauty that is all around us. To appreciate the miracle of being alive. To be able to breathe. You know, we’re made out of dirt. Alan Roettinger: My wife was working in the garden and I was helping her, and I was looking at the plants and they’re all different wonders. There’s a teeny growing, and there’s this growing, and there’s that growing, and the flowers and grass and other things. Sometimes she’s pulling out the undesirable ones, the weeds. And I was thinking about, “My God. You put these different seeds in the same dirt, and that seed has a programming that will make it grow out and become a specific plant.” Some of them with a fruit or a flower that are absolutely exquisite. But they’re sucking the same minerals out of the soil, by the mercy of water. It just comes and liquefies it so that they can get sucked up into those little things. And then we eat the plant, and it turns into us. It is completely transformed into particular things that we needed to become. Caryn Hartglass: Yes, and when we die, we go back to the earth. Caryn Hartglass: Just like cooking. Caryn Hartglass: We are not trained in this society to recognize our gratitude. Caryn Hartglass: And it’s an excellent practice to, when you wake up in the morning, think of ten things that you’re grateful for. Whenever you’re feeling down or frustrated or tired, think of ten things that you’re grateful for. And try not to repeat the ones that you already said the last few days, you know? Alan Roettinger: (laughs) Better not. Caryn Hartglass: (chuckles) That’s like in Peter Pan, “Christmas, hopscotch, candy!” Or whatever it was those things were. Caryn Hartglass: But gratitude: you’re so right. Because when we have that sense of awe and gratitude, it feels good. And we’re living our lives moment to moment. What happened already happened. What’s coming in the future is not now, it’s only right now. How can you feel in the “right now”? Think about what you’re grateful for. Alan Roettinger: How can you be bored if what you’re experiencing, what is happening right now has never happened before and will never happen again? Each moment is absolutely unique, and if you’re getting one after the other, another, another, another and if you’re paying attention, those moments fill up with joy. If you’re not paying attention, it’s just like in a dream. You’re going to be wandering to one thing after another. And if you’re being pampered, it’s good. And if you’re being inconvenient, it’s hell. (chuckles) And you’re missing the whole show! It can be. Alan Roettinger: I needed to say it, I guess. Caryn Hartglass: —perspective. I needed to what? Alan Roettinger: We need it. We absolutely need it. Alan Roettinger: It’s the lubricant that makes it possible to survive in a world like this and have gratitude. Caryn Hartglass: That’s why I say on this show: we not only tune in live—because this is a live broadcast—but we are tuning in love. And if you can’t do it any other time of the day, at least do it while you’re listening to this program. Caryn Hartglass: Because that’s what it’s all about. It’s All About Food, but it’s tuning in love and experiencing. I do this out of love and no other reason. I’m sharing what is important to me in this life and giving thoughts to others that I hope will be helpful and informative to do, as you say, experience joy. Alan Roettinger: Make joy cool again! Caryn Hartglass: (laughs) Make joy cool again. Caryn Hartglass : —protected our environment, we seem to be at a point where we may be losing them. We can’t even focus on these other things that I talked about because we’re losing ground, and it’s especially frustrating. Alan Roettinger: I think part of the reason is it was so shocking to have this turn of events, and we’re not willing to just have things go back to the way they were before we started improving them. It think that it’s always a pendulum effect: you can’t just go one way. There’s always the swing back to the other, “Oh God, no, no,” a little bit. But each time the pendulum swings, you go a little bit further. Alan Roettinger: “This is not okay.” And I have high hopes because women have become empowered. And women are wiser than men. I’m not saying this to be patronizing or anything, I’ve learned this. (chuckles) I never argue with my wife. Alan Roettinger: —at the level where food matters and the basics of life (having a decent home, having a warm place to eat), women are right. And that’s the place that matters. Being right in your head doesn’t matter, it really doesn’t! ‘Cause you’ll want to think about something else and you’ll forget all about that. But you will never forget about the essential things of life: food, comfort, warmth, security. Those things are important to women (chuckles) that men totally forget about. Caryn Hartglass: Breathing, breathing, breathing! Caryn Hartglass: Breathing. I breathe for a living, yes. Breathing is so important. Alan Roettinger: Yeah! And to me, the fact is that women are now being empowered and that men are supporting it. One of my favorite chants in that were—well, there were several of them—, but there was one of them that went, “My body, my choice.” And all the men would go, “Her body, her choice.” That was like, wow! It was so beautiful. Caryn Hartglass: It is, it is very beautiful. Alan Roettinger: Because it had nothing to do with the men, but the men were supporting it. Yeah, it’s your body; it’s your choice. Caryn Hartglass: I have to tell you that I don’t feel as alone anymore now. I think I came out of the womb an intense feminist, not even knowing what it was. But I never understood why some people, who happened to be boys at the time, were expected or allowed or encouraged to do things that I wasn’t encouraged to do. It just didn’t compute. Alan Roettinger: So you’d get dolls. Caryn Hartglass: I had to play with the one that one of the boys had. And there were just little things over time that I was not going to submit to. It just didn’t make sense and I fought it all the way. As a young adult, I didn’t understand why many of my women peers were accepting things. Ten, twenty, thirty years later, many women are not accepting these things anymore so that’s evolution in the human consciousness. Alan Roettinger: That’s right, that’s right. Alan Roettinger: And it’s happening in Saudi Arabia. They’re not able to really march because they’ll get whipped or something. Caryn Hartglass: Yeah, but they’re talking. Alan Roettinger: But they’re aware that it’s a thing. And when they get a chance, they will. It’s because evolution, it takes a long time but it goes forward and it will not go back. Caryn Hartglass: Oh, thank you for saying that! We’re going forward, we’re not going back. Alan Roettinger: We’re never going back, it’s not possible! You can’t go back to the home you were raised in and think of it as home. It’s just not home anymore. You go forward. We emerge from the sea and lost our fins and started walking, or whatever it was. We can no longer go back and survive in the water. It’s just not possible for us. We have evolved. We’ve changed entirely. And the purpose of evolution, the thing that drives us, is the quest for joy. For enjoyment, for the optimum, for best possible scenario. Alan Roettinger: Yeah, but that’s just the mental part of trying to have a better life. Of having it be better. Alan Roettinger: —they think they’re going to make them happy. But that’s just the thinnest skin on the surface of what evolution is about. Caryn Hartglass: I want to connect it to twentieth century foods, and plant foods in particular. Caryn Hartglass: Because there have been some shocking news items—for me, I’m shocked; I never expected to see some of these things in my lifetime. But they’re connected to profiting from things that are better for us. For example, Tyson is investing in plant-based meats. Alan Roettinger: Yeah, because they recognizing that they’re going to lose a huge section of the market if they don’t. Caryn Hartglass: Exactly! So that’s a good thing that’s related to profit. Caryn Hartglass: No, but it’s related to money and we’re kind of evolving in that way because we’re figuring out the direction we’re going in. And yes: you can profit from products that are better for us. Overall better for the environment, better for our health. That’s always like a knee-jerk reaction. Like, “No, no, people aren’t going to buy that” or “We’re going to lose money.” No. We can make the better products, and still everybody can succeed. Alan Roettinger: That’s why I’m working where I’m working. It’s that kind of a company. Alan Roettinger: The thing is there’s nothing wrong with profits. The only thing is when you profit from the suffering of others. Caryn Hartglass: Okay, we have just two minutes left. I just want to ask—put a good flavor in in our mouth. Do you have a favorite thing you just created or favorite food combo or something delicious to think about? Caryn Hartglass: What was in it, Alan? Blood oranges and what else? Alan Roettinger: Blood oranges. And you just grate the zest off. And you make a sort of syrup with water and evaporated cane juice crystals. And boil till it’s like a syrup and then you turn off the heat and you add the zest. Let it sit for a while to flavor it. And you stir it. Then you squeeze the oranges to get all the juice. You don’t strain it; you just take it out the seeds so there’s a little bit of texture. You mix the two together. You let it get cold, and then you put it in an ice cube tray in the freezer. It’s so simple. All you need are eight or nine blood oranges. The darker, the better. Very, very simple. Caryn Hartglass: Mm, that sounds good. Okay, let’s all savor that idea. Alan Roettinger: Mm, blood oranges. Caryn Hartglass: Savor that flavor. Alan, thank you for this gift of giving me an hour of your time. I appreciate it. Alan Roettinger: On the contrary, thank you for asking. Caryn Hartglass: Well, you’re the one I wanted to celebrate my eighth anniversary hosting It’s All About Food. Caryn Hartglass: Thank you very much. Alan Roettinger: I’m so honored. So honored to be your never-met-friend. Caryn Hartglass: Ever! (chuckles) Hopefully that will change. Alan Roettinger: I love you, Caryn! Caryn Hartglass: Okay, big hugs to you, Alan! Thanks for joining me on It’s All About Food! Alan Roettinger: Thank you. Next time. Caryn Hartglass: Lots of love and joy to you and yours. Alan Roettinger: Love you too. Bye-bye. Caryn Hartglass: Big hugs. Bye-bye. 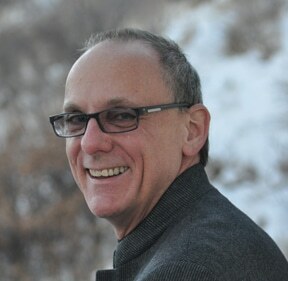 That was Alan Roettinger, everybody, and you can find him at alanroettinger.com. Looks like we’ve come to the end of the program. I just wanted to say a few things. This is the eighth anniversary of It’s All About Food. Thank you for being a part of that, thank you for being my audience. I rarely ask this, but if you can share this program with people you love and care about, or rate us on iTunes, do what you can to promote it, I’d be really grateful because I think a lot of the things we talk about on this program are good and important. The more people that can learn and share some of these ideas, the better for all of us. So thank you for being my audience again and being a part of It’s All About Food. Thank you for caring and have a delicious week!